How long have you been working at MBF Bioscience? 15 years. Describe what you do: I manage product software development and human resources. My job involves a variety of responsibilities, and on any given day, I might be fixing bugs, adding new features to our software, helping our wonderful technical support team, hiring new staff, and managing our company’s benefits package. Just today, I fixed a bug in the early afternoon and later I’ll be attending a webinar on Vermont’s proposed single payer health insurance. It’s never dull. Could you share some recent developments in MBF Bioscience software development? The release of Version 10 of our flagship products Neurolucida and Stereo Investigator. Also, we’ve made a big leap forward with Microlucida in terms of ease of use, and we’ve updated our densitometry package, Densita. What are some of your favorite features of Neurolucida 10 and Stereo investigator 10? Direct and Open Confocal Integration opens the doors for those who wanted to perform confocal stereology and neuron reconstruction while using their confocal systems. I’m also excited by the continued enthusiasm for our structured illumination solution using the Zeiss Apotome 2. The Huygens Deconvolution module is yet another integrated option that we can offer our customers or further serve their needs by being authorized resellers of standalone SVI products such as Huygens Essentials. The Montage module is always a joy to demonstrate. It automates and simplifies a very difficult multistep process that was by nature trial and error. Now you can take a number of overlapping image stacks and quickly get to the point where you can begin reconstruction or perform stereology. 3D Virtual Tissue Acquires, multiple-user changes, and dozens of other modifications make version 10 truly exciting. And we’re still very busy developing exciting new enhancements. A new guided tracing in AutoNeuron and Automatic spine detection are moving into beta versions. And our integration with Biolucida Image Server is just around the corner as well. 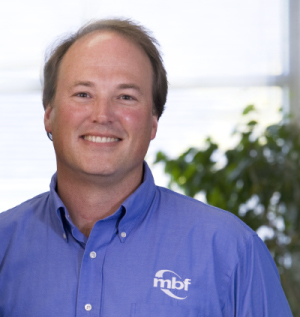 What’s your favorite thing about working at MBF Bioscience? I love our products and I’m proud of what they do for humanity, but I really enjoy my coworkers. I can’t wait to get to the office each morning. How do you spend your free time? I’m also a vice president in the Williston Vermont Little League and I love coaching baseball and other youth sports. We have four children ranging in age from 9 to 22, so something is always going on—be it a practice, game, concert, or play. What was the last vacation you took? The Middlebury College baseball team’s spring trip to Phoenix, Arizona. Our oldest son plays and it’s wonderful to be warm outside again. Other than a great baseball trip, we got to see the Grand Canyon and Sedona – both spectacular. Posted in MBF Company News and tagged mbf staff, meet the team. Paul Angstman how are you doing? Sounds like pretty well, How did you end up in vermont?